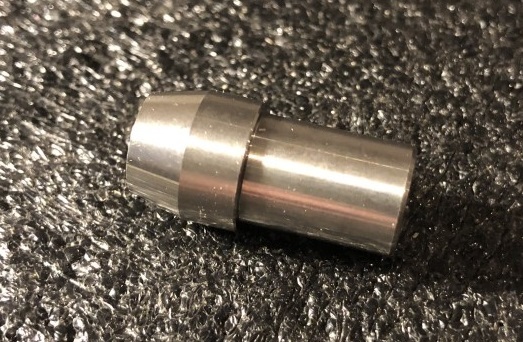 Hardened stub shaft for use in square drive systems. Measures about 4-1/2 inches long. Threaded 1/4-28. Hardened steel. Use with our 3433 ferrule.